If you are unsure of where to start when it comes to your next home remodeling project, why not turn to a team of experienced professionals? With the assistance of a professional home remodeler, you can be sure that your are getting the the best when it comes to design advice and the experience needed to bring any design idea, no matter how simple or elaborate, to life. The local team of Park Ridge remodeling contractors at Best Home Renovations, your Remodeling Contractor, can provide you with the experienced insight and the guidance you need to truly unleash the design potential of your home. There are several benefits that come along with remodeling portions of your home, and one of the first and foremost in these is the boost to your home’s value that comes along with a quality remodeling job. With a quality home remodel, you can give your home more curb appeal and a fresh look, both of which easily translate into increase value for your home. Another reason many homeowners choose to remodel sections of their home is simply to improve its function. No one wants to live in a house that doesn’t really feel like it’s theirs. By remodeling sections of your home, you can customize it to your specific needs as a homeowner, and truly make it feel like it belongs to you and not whoever may have lived there before. Your tastes and needs are always changing as time goes by, so why force yourself to put up with rooms that are no longer serving the function you need them to? Remodeling offers a great way of adjusting your home to fit your changing requirements, so why wait on yours? Call us today to schedule your consultation. One of the most popular remodeling options among local homeowners is the decision to update and remodel a bathroom. 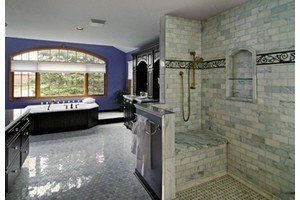 The bathrooms to your home are one of the busiest rooms in your house next to your kitchen and possibly your living room, so why let it linger as a room that you cringe at the thought of walking into? There is no better way to recover from a long day than being able to walk into your newly remodeled bathroom, and slip into your new Jacuzzi tub for a nice relaxing, hot bath. The team of professionals at Best Home Renovations can work with any design idea you have in mind to create a room of relaxation and tranquility for you and your family. With so much time spent in the bathroom every day, doesn’t it make sense for it to be a room you can enjoy being in? Give our team of professional remodelers a call today and let us help you bring new life to your old bathroom. There are plenty of great reasons to get started on your new Park Ridge kitchen remodeling project today. The kitchen is an extremely important room in your home, receiving more traffic than any other room in the house, so it only makes sense to make sure this room is meeting all of your functional and creative needs. Whether you are looking to improve your kitchen’s functionality, upgrade and update your appliances, or increase the amount of storage you have by adding custom cabinets, the team of Park Ridge remodeling contractors at Best Home Renovations are standing by and ready to help you accomplish all of your home remodeling goals. 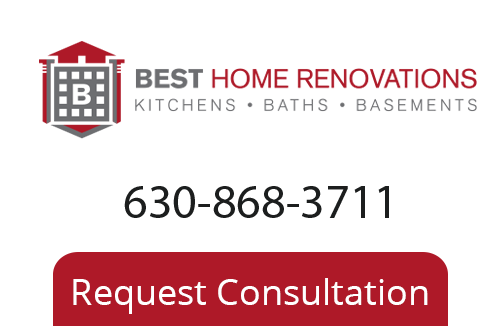 If you are looking for a professional home remodeler in Park Ridge or the surrounding area, give us a call today at 630-868-3711 or fill out our online request form.